New York governor Al Smith reviewed the Kings County Volunteer Firemen’s Association on Washington’s Birthday in 1928 in the leadup to the presidential race. I was reading a good-natured online debate the other between a couple of people arguing the merits and demerits of American holidays. One of the running threads–indeed, the instigation of the discussion–was the idea of President’s Day itself. Some were averring that the holiday we are observing this weekend is now a second-tier observance, which is tough to argue against. It was not always the case however. President’s Day began as George Washington’s Birthday, and is still legally considered as such in many of the fifty states. Up until around the Second World War however Washington’s Birthday was still considered one of our most prestigious holidays, ranking below Christmas and Easter and on par with the 4th of July. It makes sense that Americans would have two secular holidays–one in winter and the other in summer–of such consequence. From the early days of the Republic through the mass immigration of the early twentieth century these holidays gave Americans a shared narrative. The 4th of July is still part of that narrative, but Washington’s Birthday–or even the more general “President’s Day–not so much. Some of the men assembled to speak at Brooklyn Borough Hall were in their 90s. Later that day Governor Smith and Congressman Fiorello La Guardia spoke at the Brace Memorial Newsboys’ Lodging House in Manhattan. Here above we see a moment during which Washington’s Birthday was still very much part of our cultural fabric. In 1928 Governor Alfred E. Smith visited Brooklyn to review the organization of retired Kings County firemen. From the steps of Borough Hall he watched the procession of men, some in their 90s, as they hailed the man everyone knew would run for the presidency that coming November. The Eagle, whose offices were adjacent to Borough Hall, noted that “Only the Roman candles and fireworks of the old political campaigning [were] missing.” It was not just Brooklynites; firemen had come from throughout Long Island, Manhattan, and as far away as Philadelphia and Delaware to see and hear Smith. The governor had been coming to this event throughout the 1920s. He had come down from Albany for a few days to appear at several events; after speaking to and lunching with the retired firemen in Brooklyn, Smith returned to Manhattan and dined at the Brace Memorial Newsboys’ House on William Street. Lodging houses like the one Smith spoke at on Washington’s Birthday 1928 dated back to the days when Charles Loring Brace and Theodore Roosevelt Sr. created them prior to the Civil War. There with Smith at the lodging house was U.S. 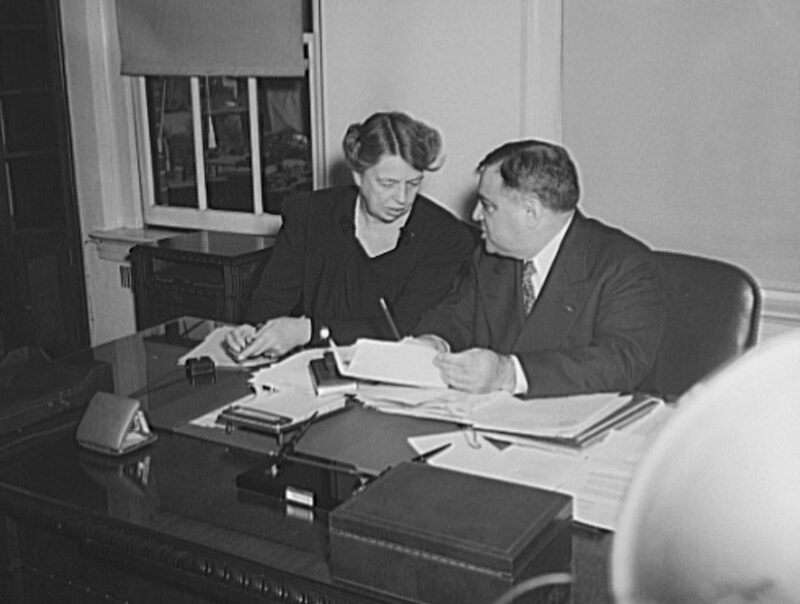 Congressman Fiorello La Guardia. Smith’s message to the 1,200 assembled hardscrabble lads was to accept that life is difficult even under the best of circumstances. The governor and presidential aspirant understood difficulty, having been born a slum kid on the Lower East Side and toiling in the Fulton Fish Market before becoming a Tammany man and starting his rise. Louisa Lee Schuyler was a great granddaughter of both Philip Schuyler and Alexander Hamilton. She died in 1926 and is buried an hour north of New York City in Sleepy Hollow. A friend and I traveled north of the city yesterday to visit Sleepy Hollow Cemetery. Neither of us had been there before and were not sure how it would work out logistically in terms of the distance from the train station, the size of the cemetery itself, how hilly it might be, and that sort of thing. We did not leave super early, as Sleepy Hollow is just an hour away from Grand Central. We caught 10:20, by which time the station was packed with people out enjoying the holiday season. We had a big checklist of potential headstones to visit, but only saw some of them because of the size of the cemetery. The one I was determined to see however is the one above: Louisa Lee Schuyler. Miss Schuyler was one of Theodore Roosevelt Sr.’s best friends; the two worked hand-in-hand on philanthropic endeavors for years until his untimely passing at age 46 in 1878. She carried on for almost another half a century until her own passing in 1926. They are two of the main characters in my book manuscript about Civil War Era New York City. After trekking through the cemetery for a few hours my friend and I ventured to Philipsburg Manor, where the staff gave us recommendations on where to get lunch in Neighboring Tarrytown and helped us call a cab. They weren’t wrong about good restaurants on Main Street. I am not going to go into the details today but will say here that, while also enjoying the holiday season, I have been laying the groundwork for some 2019 projects. Next summer I hope to spend a fair amount of time exploring Old New York in the Hudson Valley and making some connections to local and national history. The Colonial and Early American Periods are things I actually know very little about. Though I do explore the early years of European settlement a little bit in Incorporating New York I intend to explore the topic more thoroughly, including how it relates to the Hamiltons, Roosevelts, Schuylers, and other leading families. I was in Upper Manhattan this afternoon for a meeting. I took the #1 train to 116th Street and when I emerged to street level Columbia students were packing their belongings into their parents’ cars and heading home for the summer. As I continued along I saw the doors open at Riverside Church and, with about fifteen minutes on my hands, went in to give it a look. As it happened, I stumbled into the Columbia University graduation ceremony, which I could hear and see going on inside the church from the lobby. A student in cap and gown standing in the lobby even asked me if I needed help but I politely said no, wished him well, and went on my way. The reason I was in the area was because I had a meeting at Grant’s Tomb. As it turns out, I’ll be volunteering there at least over the summer. I am excited about this. I feel that in many ways things have been guiding me towards this for some time. I am already contemplating a number of interpretive possibilities. My first order of business though will be to ground myself in the basics of the site and its historic provenance. I have already just about completed the historic resource study written by a Park Service historian in the early 1980s. Grant’s Tomb is a good fit because it ties in neatly with my book manuscript about Civil War Era New York City. Theodore Roosevelt Sr, Chester Arthur, Winfield Scott Hancock, Roscoe Conkling, Rutherford B. Hayes: the lives of all of these figures and others intertwined with Grant’s in substantial ways. I feel I’m well-positioned to take this on. I will not be starting until early June but after I do I will have regular updates about what is going on. Private Abraham Graff died 153 years ago today. As you can see from the muster roll above, Graff served in the 7th Veteran Infantry Regiment. This unit mustered in just in time to serve in Ulysses S. Grant’s Overland Campaign. Graff himself did not see action in that bloody ordeal, having joined the Army on June 25, 1864. He was in Virginia for the Siege of Petersburg. What makes him interesting here, beyond that his was a life cut short, is how and why he entered the unit: Abraham Graff was Theodore Roosevelt Sr.’s replacement in the American Civil War. Passenger manifest from the Amalie listing an Abraham Graf arriving in New York City on June 23, 1864. Little is known about Graff. We do know however that he was a German immigrant who had just come to the United States. I cannot tell with 100% certainty but the passenger manifest above lists an Abraham Graf having arrived in New York City on June 23, 1864, two days before “our” Graff mustered in. The last name is spelled differently (with one F here) and the age may be off a year or two according to what we know, but these types of things are not uncommon in historical records. We do know that the Abraham Graff that took Roosevelt’s place was freshly-arrived. This may well be our person. How many Abraham Graff’s could have come from Germany that same week or month? Private Abraham Graff’s death certificate, complete with notation that he was Theodore Roosevelt (Sr.’s) substitute. Note that it lists the house number as 33 East 20th Street, not 28 as we know it today. Graff’s Civil War experience was a difficult one. He was taken prisoner, let go, and died of scurvy in a Union hospital in Maryland on March 31, 1865.